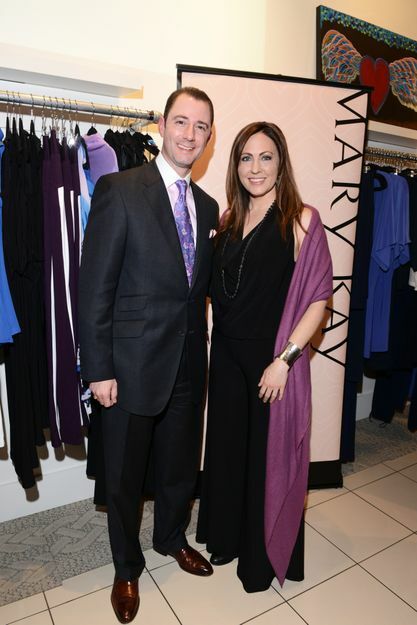 Leading fashion designer Abi Ferrin is partnering with Mary Kay as the newest Cause Champion to raise awareness for the company’s domestic violence prevention programs. As a Mary Kay Cause Champion, the award-winning designer will travel the nation to share her story and the company’s commitment to ending domestic violence. The partnership is the most recent component of Mary Kay’s Don’t Look Away campaign which works to educate the public on recognizing the signs of an abusive relationship, how to take action and to raise awareness of support services. Ferrin’s story is also included in Mary Kay’s new public service announcement series, “1 in 4” that debuted at the company’s Leadership Conference last month. DALLAS – February 6, 2014 – One in four. It’s a heartbreaking statistic that leading fashion designer Abi Ferrin knows all too well – that one in every four women will experience domestic violence in their lifetime. Like many women, Ferrin never thought she would be the one in four. 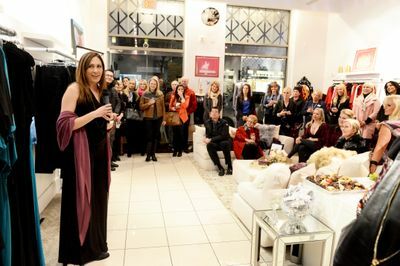 Now a voice for domestic violence survivors, the successful fashion designer and philanthropist is partnering with Mary Kay as the company’s newest cause champion to raise awareness for the global cosmetics giant’s domestic violence programs. As a Mary Kay Cause Champion, the award-winning designer will travel the nation to share her story and the company’s commitment to ending domestic violence. The partnership is the most recent component of Mary Kay’s Don’t Look Away campaign which works to educate the public on recognizing the signs of an abusive relationship, how to take action and to raise awareness of support services. Ferrin’s story is also included in Mary Kay’s new public service announcement series, “1 in 4” that debuted at the company’s Leadership Conference last month. Mary Kay’s Don’t Look Away campaign also includes the nation’s first-ever text-for-help service powered by loveisrespect. The program provides safe and anonymous advice to hundreds of thousands of young people each year via text. For more information about the program, visit marykay.com/dontlookaway. ABI FERRIN is the versatile and sophisticated fashion brand that offers expertly designed pieces in easy-to-care-for fabrics providing a chic solution for women of all ages and body types. With supreme fit and comfort as a key element throughout her collections – whether it’s the 3” elastic waistband that creates a ‘tummy tuck’ or the exclusive ruched seaming that lengthens the legs – ABI FERRIN’s effortless essentials inspire women to feel confident and beautiful. Celebrated pieces include the renowned Nikki 5-Way Dress that creates five entirely new looks depending on how the garment is draped and the Jan Cape that easily transforms from work meeting to date night. ABI FERRIN is designed and produced in the USA. For more information or to shop the collection, visit www.abiferrin.com.